Pixel-art animation powered by css with a sprite created by Compass. In this article I’m going to share my experience in creating a simple pixel-art animation, which I gave as a new year present to a good friend. I used Adobe Photoshop CC, but I believe that any version is OK.
Go to Window > Timeline : a timeline will appear at the bottom of the window. Switch to a frame view by clicking on the frames icon (at the left bottom corner of the timeline panel). Now you see the first frame and if you want to create another one - press Duplicate selected frames icon (located at the bottom of the timeline panel). Now start drawing. I used layers and changed their visibility for different frames. My psd file is available in my repository as a reference. You can test your animation by pressing a Play button on a timeline panel. I recommend to set a similar frame duration for all frames, as it will be easier to export them as separate png files later. 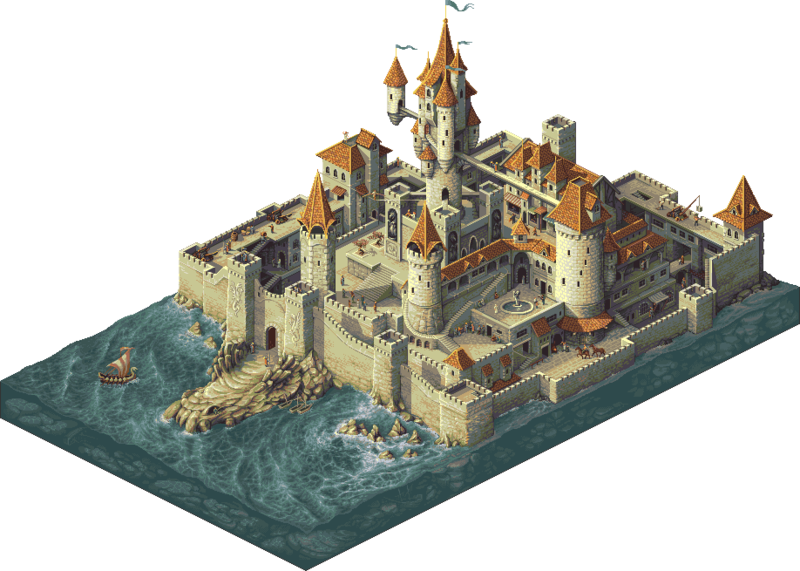 Super realistic pixel art by Fool. First you need to save your frames as separate png files. In Photoshop CC it can be done by choosing File > Export > Render video. Set your frame rate and click Render. When your frames are ready, put them to one folder. Making a sprite with Compass is really simple, but you can use online tools for producing a sprite - there are plenty of them. Then I power the animation. I want a background position of my sprite to change from the first frame to the last. Ta-da! Here is the result!